Suad Amiry is a Palestinian architect and writer, and the founder of RIWAQ: Center of Architectural Conservation in Ramallah, Palestine. Amiry found her talent for writing after spending 42 days under curfew with her mother-in-law in Ramallah in 2002. The result was her acclaimed memoir “Sharon and My Mother-in-Law,” which was released by Random House in 2006. Since then, she’s continued to write about Palestinian life after displacement and under occupation (“Nothing to Lose But Your Life,” Bloomsbury) and her most recent book, “Golda Slept Here,” (Bloomsbury) shares the stories of Amiry’s friends whose families were expelled from their homes in West Jerusalem. 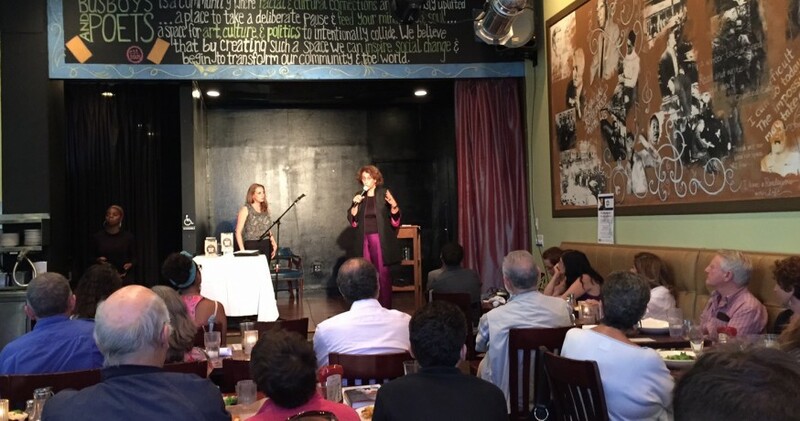 On June 21, 2015, the day of her book release, Amiry appeared at Busboys & Poets in Washington, DC, to talk about “Golda Slept Here,” and then discussed the book with the IMEU’s Karmah Elmusa. Suad Amiry: I’ll start by sharing a little bit of my personal story. My mother was Syrian so I was familiar with Damascus, and my father was Palestinian and became a refugee in 1948 and lost his house in Jaffa. I lived in the shadow of my father talking about the absence of that house. The house was steps away from the sea, it was a two-story house, and it had a courtyard with a big lemon tree in the middle. As a kid in Amman, I would sit and listen to my father describing his house, and construct in my mind what the house and Palestine looked like. In the end, I think I became an architect because of those two cities: the strong presence of a Damascene mother and the strong images of the old city of Damascus and its alleys, and the absence of my father’s house and country. One was absent, and the other was very present. I spent 15 years of my life studying to be an architect, and then I founded the architectural preservation organization RIWAQ, in Palestine. But then my mother-in-law, who was 92 years old, comes to visit me, drives me crazy, and we are both under curfew for 42 days together. I always tell the Israelis: “I may forgive you for all the atrocities you’ve committed against my people, but one thing I’ll never forgive you for is having my mother-in-law with me 42 days.” It felt like 42 years, believe me. That experience will make a writer of anyone. It has nothing to do with your ability or talent to write -- just the frustration you experience and the need to express it. We always like to think that our lives are very well planned, but I became a writer by pure accident. I realized quickly that we Palestinians never give a name or put a face to the Palestinian story. We are always obsessed with the collective story. We are obsessed with losing a country. But what does it really mean to lose a country? Who relates to a country except for politicians? What’s more powerful: To say, “I lost my country,” or to say, “I lost my home, I lost my school, I lost my books, my brother lost his little dog, my mother lost her books and photo albums, the peasants lost their land and livelihood”? I’ve found that the power of being personal is something that the Palestinian or Arab culture shies away from, but it’s effective. “Golda Slept Here” tells our personal stories with names, with faces, with houses, and with images, as told to me by four of my close friends. I intentionally chose characters who dealt with the trauma of personal loss and displacement in very different ways. In the book you’ll find the late Gabi Baramki and his father Andonis Baramki, the first architect in Palestine. Then there’s Huda al-Imam, a professor at Al-Quds University -- her father lost his house, and she grew up in East Jerusalem. And there’s my mother-in-law again, telling me the story of how she left Jaffa. And I, myself, am also in this book. I wanted to tell the story of that very moment when my family ran out of the house. I realized I knew nothing about that chapter of my family life. Nothing. Zero. I knew that we were from Jaffa, I knew that we were refugees -- I knew many, many things, but the trauma of that very moment, of rushing out of your house, was never talked about by our family. Never. IMEU: Thank you for having me, Suad, to discuss your book with you. You are an architect, so you brought that expertise to this writing. Some might say that identity isn’t necessarily rooted in the physical space you come from, but clearly your protagonists feel very connected to their houses. What’s your take on that connection? SA: Identity is a very complex thing, I think. On the one hand, we are many things. I myself try to stay away from purity -- purity is something that really scares me: pure white, pure black, pure Jewish, pure Arab. In my architectural work, we try to preserve all the layers that exist in Palestine, whatever they are, because it is the combination of these layers that makes us who we are. To get my skin color, for example, you have to mix white and black, and some brown. I’m sure I’m partly that am partly Jewish, partly Christian, and partly Muslim; because of the history of the Holy Land, you can’t be pure this or pure that. I’m sure I am a combination of all these layers together. In other words, the obsession of all of us being one thing is not something I subscribe to. But at the same time, I am very much interested in nature. So I believe that we belong to a place, one way or another. I grew up in the Middle East, and no matter how hard I try to speak in English or write in English, when I get mad I burst out in Arabic and I curse in Arabic -- every Arab-American kid says, “When my father speaks Arabic, I am so scared.” At the end of the day, you belong to a culture. So, even though I would consider myself a person who travels here and there and lives here and there, at the end of the day I feel most comfortable in the Middle East. That’s the truth. IMEU: In the book, the word obsession comes up again and again. Huda, for example, uses the word obsession to describe her relationship to her family’s house. 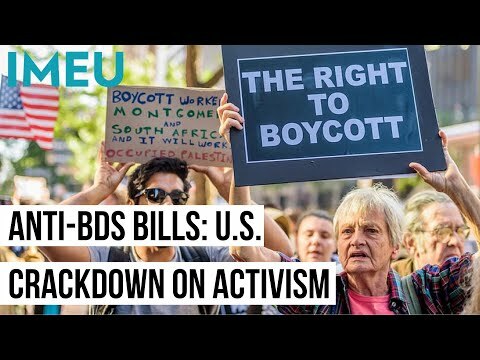 What does that word mean in the Palestinian context? SA: I’ll tell you, Karmah, the most difficult thing about being Palestinian is the obsession that we have with Palestine. Here we are in Washington, DC, where we should be seeing an exhibition on the Mall, but here we are, sitting and talking about Palestine. We carry it with us wherever we are, and I find it such a terrible obsession. And that obsession comes from the trauma of the great losses inflicted on us for so many years but also from one simple fact that: At the end of the day, no human being accepts injustice. The obsession over Palestine is really about what happened and what’s continues to happen even as we speak: It is so unjust that we can’t let go of it. My friend Huda is obsessed with her family house -- she goes there every other Saturday, she sometimes watches it from across the street, and other times she goes into the garden and pick the fruit and gets in trouble with the Israeli family that lives there now. It’s a very exhausting obsession. And people deal with the obsession and loss in different ways. Huda and I are at the opposite ends of this spectrum. While Huda goes there almost every other Saturday and argues with the Israeli family living in her house, I’ve never been to see my father’s house in Jaffa. I, like many others, haven’t dealt with that loss. Not yet. IMEU: Let’s talk about Gabi Baramki’s story -- he was the President of Birzeit University, and a friend of yours, and he died two years ago. The Baramki house in West Jerusalem was turned into an Israeli museum that claims to “examine the social reality within our regional conflict.” Can you share how the fate of the family house affected Gabi? SA: Gabi’s story is the closest to my heart. That’s partly because he’s an also an architect, but it’s partly because he went through the Israeli legal system to deal with his trauma and get his house back. He was madly, madly in love with this house. He built many houses, many villas -- but this one beautiful villa in particular was special to him. He called it Nour Hayati (“light of my life”). He kept photos and drawings and blueprints of it his whole life. But in the book, you’ll learn that the house was changed into a museum by the Israelis. Dr. Gabi Baramki had to buy a ticket to enter his own house, which had been renamed The Museum of Tolerance. Then they changed the name to Coexistence and Tolerance. And now, if you Google it, it’s called Museum on the Seam. The Israelis themselves have a word called “chutzpah” (shameless audacity), and that’s the word that comes to mind about the denial they are in with regards to stories like Gabi’s. I want to tell the Israelis, you’ll only become my friend once you no longer deny what you did to us. An Israeli acquaintance once said to me: “Suad, what do you want from us? Do you want us to say that Israel was born in sin?” Yes, I want you to say it was born in sin because it was born in sin. And I’m not saying a country born in sin doesn’t have the right to live and have a happy life -- but Israel was born in sin and nothing will change that fact. Unfortunately, the great majority of Israelis are still in denial, and for me, that’s a lot of what that book is about. But then my acquaintance added, “But Suad, do you realize what it means to stop being in denial? Do you realize the consequences of that?” I think we all know the answer to that question, and I think the answer sums it all up!